The Senate Agriculture Committee recently held a hearing on Rural Development and Energy Programs: Perspectives for the 2018 Farm Bill. Senators heard from USDA staff and rural development experts and got important perspective on the value of the Rural Energy for America Program (REAP) to agriculture and rural America. Mark Olinyk, President and CEO of Harvest Energy Solutions, based in Jackson, Michigan, shared his direct experience with REAP, which provides incentives to farmers and rural businesses to invest in renewable energy and energy efficiency. 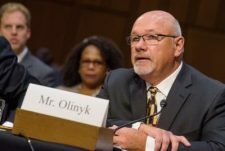 Olinyk strongly endorsed REAP and urged the Senate to increase funding for REAP in the next Farm Bill, along with other recommendations. Harvest Energy Solutions serves the agricultural community with help from REAP, by providing means to lower and stabilize energy costs: “REAP allows our clients to save electricity, save money, achieve greater efficiencies, and make their operations more stable, less risky, and more profitable,” Olinyk pointed out. Senator Debbie Stabenow (D-MI), ranking member of the committee, pointed out that REAP is “consistently over-subscribed with more interest than funding” and asked Mr. Olinyk for his views on this. Olinyk responded that “the more available REAP money, the more benefit to farmers and businesses. Period. It produces jobs.” “That means more clean, renewable energy, and more jobs and economic growth in rural areas,” said Olinyk. REAP’s benefits are visible, dependable, and necessary. Mr. Olinyk emphasized the benefit provided by REAP for farmers, and especially poultry growers, struggling with low commodity prices and high input costs. In some cases he said these farmers are being stretched thin and their continued operation could be in doubt. REAP alleviates increasing energy costs, allowing farmers to concentrate their expenses on improving and expanding agricultural production. Not only does REAP offer direct financial benefits to farmers, it additionally provides rural economic development by leveraging private investment. Olinyk described a number of projects where the REAP grant made a decisive difference in the investment, providing an economic domino effect that helps the whole community. Studies have shown that REAP has great impact on job creation. “In total, we have completed hundreds of successful solar and wind installations in the states of Iowa, Illinois, Indiana, Michigan, Ohio, Kentucky, Tennessee, Missouri, Wisconsin and Pennsylvania. In these states we are providing clean, renewable energy while creating economic growth and wealth in rural communities,” said clean energy entrepreneur Mark Olinyk. From farmers in Kentucky to Iowa, REAP’s impact is evident. One example is Tripp Furches, a Kentucky grain operator. 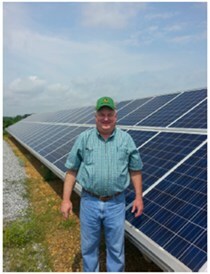 Furches was hesitant to build solar on his farm, even though he knew of the long term benefits it would have. As with so many farmers, Furches’ input costs were not going down, but the sale price of his corn was. 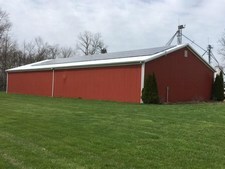 Furches secured a renewable energy grant through REAP and was able to build a beautiful, cost-saving solar array on his land. These fiscal limitations made Furches hesitant to build solar on his farm, even though he knew of the long term benefits it would have. Mr. Furches freed up enough income to expand and diversify his farming operation. In September, 2014, Senate Majority Leader Mitch McConnell visited Furches’ family farm to see this success story first hand. You can download Mr. Olinyk’s Senate testimony here (PDF).